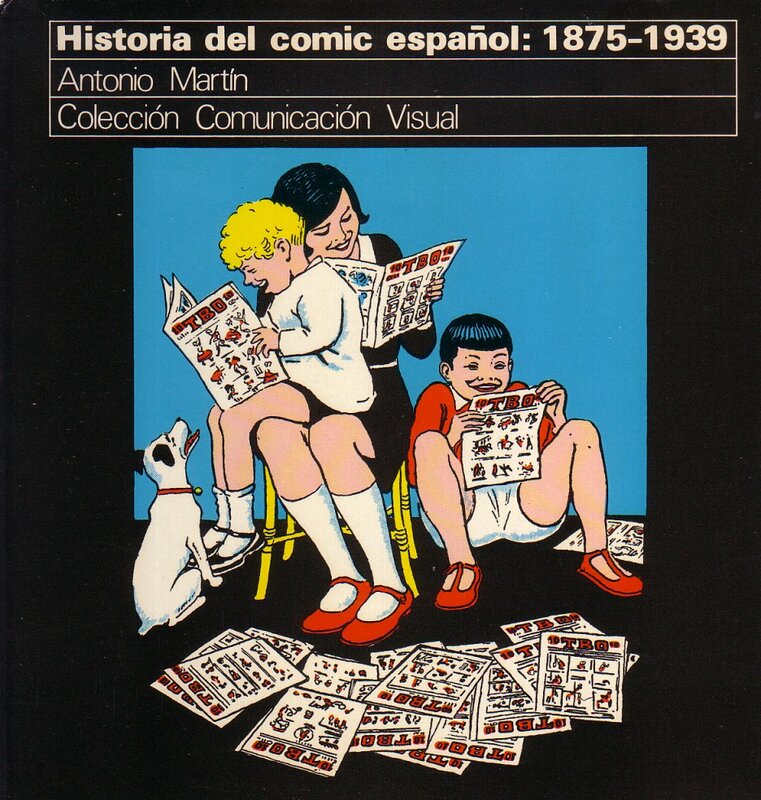 I’m reading two great books on the history of comics in Spain, both volumes written and edited by historian Antonio Martín. 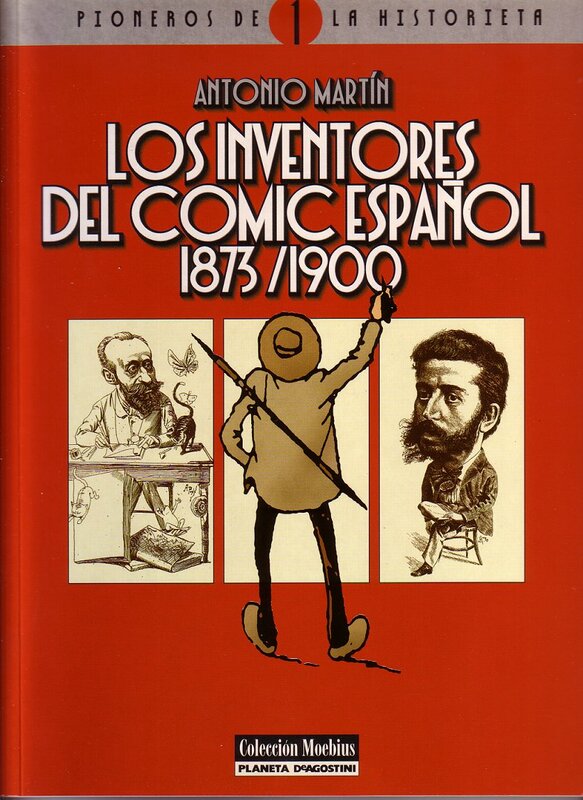 The most recent is Los Inventores del Comic Español 1873-1900 published by Collections Moebius in 2000, 126 pages. 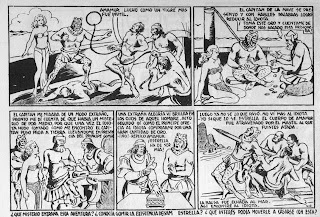 This is a brief essay on the history of the early historieta (comic strip) followed by a selection of many of the best examples up until 1900. 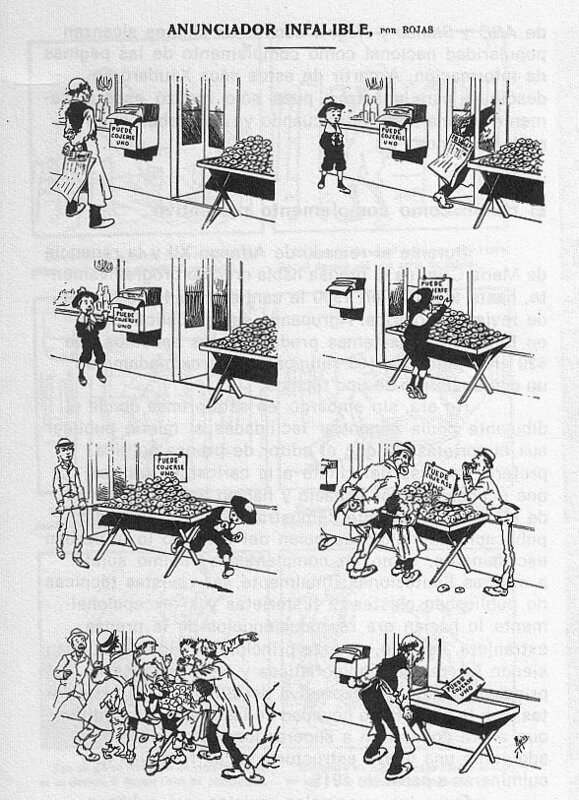 The comic strip in Spain was arrived at much later than most European countries and appeared mostly in urban areas. 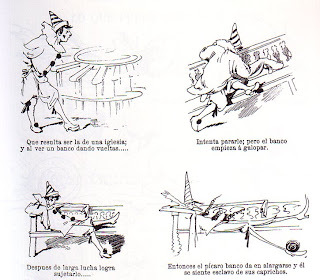 The Spanish masses were mostly illiterate and lived in rural areas, so instead of historieta as a mass medium, in the beginning it was an entertainment for the educated bourgeoisie. The original inventors, Jose Luis Pellicer, Mechachis and Ramon Cilla, appeared about 1873 and worked until the dawn of the new century. After 1875 more artists appeared among them Demócrito and Apeles Mestres (above). This is an excellent collection. 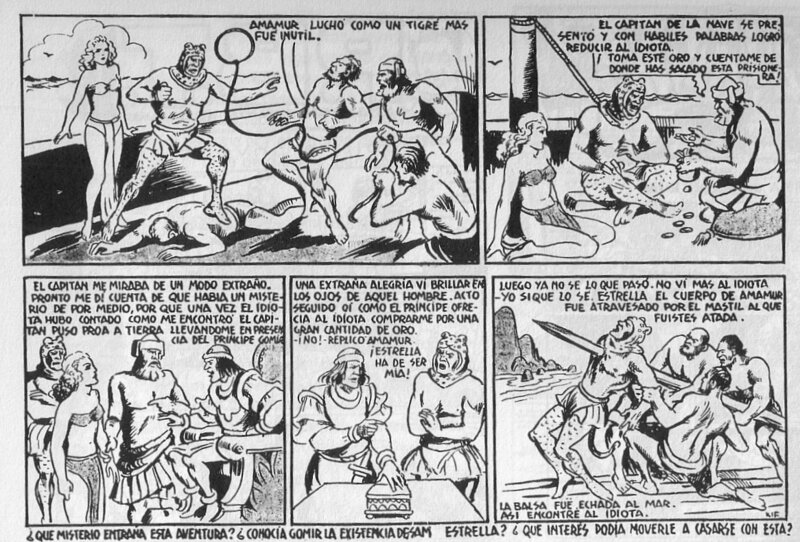 The Spanish drew comics in a fine art style with plenty of attention paid to graceful body movement. 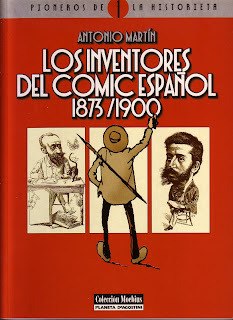 Los Inventores is a pleasant collection of late 19th century cartooning, some of which seems to have been influenced by Wilhelm Busch. 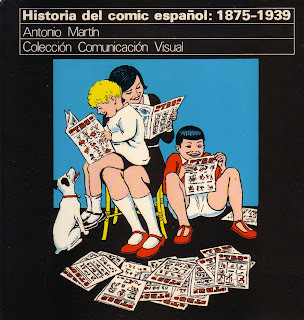 Antonio Martin is a human dynamo among comic historians (see a complete list of his many accomplishments HERE) and a more thorough look at the Spanish Historietas (comic strips) and Tebeo (comic books and magazines) is found in Historia del comic español: 1875-1939, published in 1978 at 248 pages. 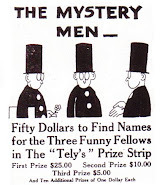 After 1900 Spanish comics were given a new impetus through the influence of European and American comic artists like Tom Browne (Weary Willie and Tired Tim) and Richard F. Outcault. 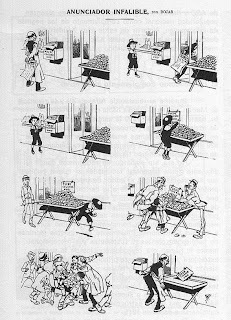 Hundreds of comic magazines were published and the cartoon began to lose its adult preoccupations, becoming more child-oriented. 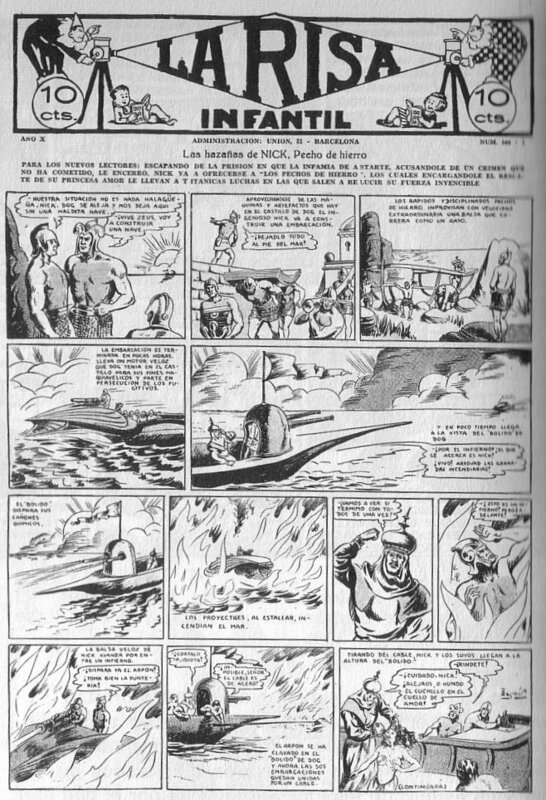 By the thirties the main influence on Spanish comics was the work of Alex Raymond and home-grown science fiction became as popular in Spain as the humorous children’s comics. Both books are excellent contributions to the studies of world comics. 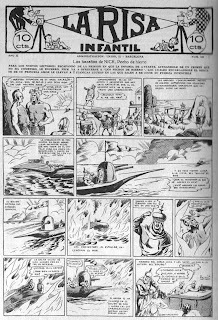 Antonio Martin continues to work on the history of Spanish comics. 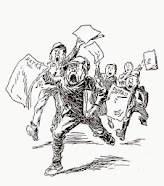 At the moment he is preparing a book on the Tebeos de la Guerra Civil, 1936-1939, as well as other works on Spanish censorship of comics, feminine tebeos, &c.
Excellent suggestions. Will try to get a copy of these splendid books. Thanks. 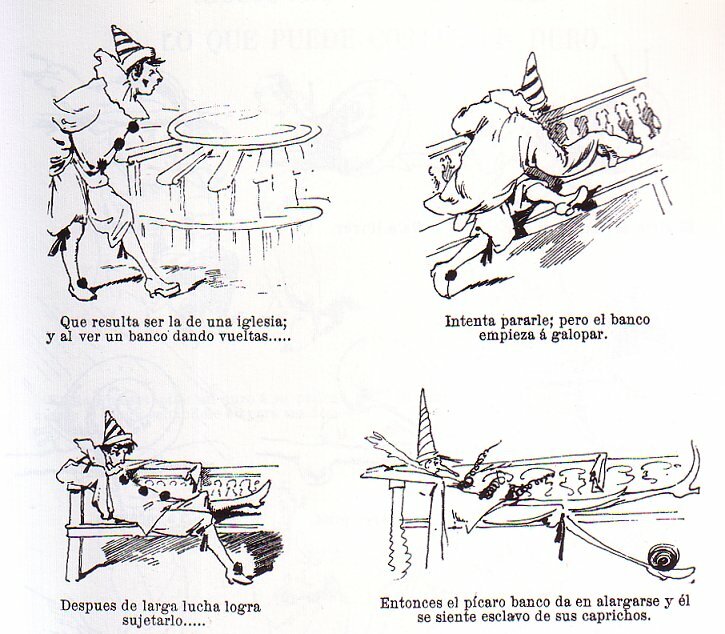 The page was reproduced in Antonio Martin's book Historia del comic español: 1875-1939. The original appearance I'm not sure of - all my reference books are in storage at the moment.